Nigerian veteran musician, has got Dino Melaye's back. The musician said he is praying for the embattled Senator from Kogi State who is wanted by the Nigerian police. Troubled senator Dino Melaye has found a friend in veteran musician Majek Fashek. The Reggae musician, who is popular for singing 'Send Down The Rain', is now praying for the rain of accusations and warrants brought against Senator Dino Melaye to end. 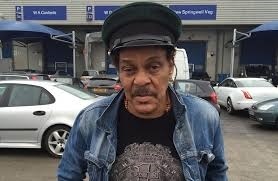 Majek Fashek, who shared a photo with Dino Melaye said: "We are praying for you. We stand with you and by you. No one can touch the anointed of God. No weapon fashioned Against you shall prosper. Fire go burn all your enemies Down in Jesus Name Amen. @dinomelaye"
Majek Fashek was invited by the senator in 2017 during his birthday to perform. Dino Melaye is wanted by the Police for alleged attempt to destabilisse Kogi state by using thugs. Dino Melaye has denied all the allegations against him.